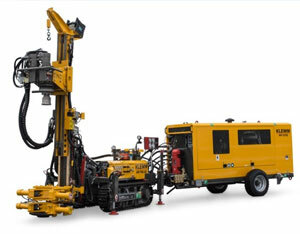 Skelair, leading supplier of ground engineering and rock drilling equipment, has added a Klemm PP117-G Power Pack to its range to support the Klemm KR702 range of rigs, already available for hire from Skelair. The PP17-G features a new engine and hydraulic system controls with many new features such as an oil flow and pressure check, and a safety mode selection, all managed via the 5.75” multichrome communication display. The CAT 117 kW engine has 2kW more installed power than its predecessor, and complies to the latest exhaust gas regulation, which is mandatory when working in Central London, where these rigs are most popular. Berry Piling, specialist piling and foundations contractors, have been the first UK company to try out the new Power Pack on its fleet of Klemm KR702 and KR701 rigs. Chris Berry, Group Managing Director, Berry Piling, said: “The Power Pack was built because we specifically needed it to be added to the fleet. Many of our projects are in Central London where emission control is hyper important, and we’re gearing up for further changes expected in the next 12 – 18 months. The Berry Piling team have used the Power Pack for a small project in Woking, “this gave us an opportunity to break the machine in before it’s scheduled for its first major job in London over the next couple of months,” concluded Chris.